Telltale Games is getting ready to unleash the third episode from The Walking Dead: Season 2, which is called In Harm’s Way. To get gamers excited they have gone ahead and released some new screenshots from the game, and you can check them out in the gallery below. The Walking Dead: Season 2 – Episode 3 is developed by Telltale Games and is set for release sometime this month. This entry was posted in All, Featured, News and tagged In Harm's Way, Telltale Games on May 2, 2014 by Mike Guarino. The Walking Dead: Season 2 will be making its way to PlayStation Vita on April 22nd, developer Telltale Games announced on a post on the PlayStation Blog. Episode 1 and 2 will be available for $4.99 each, and the developer notes that it will give Vita owners time to catch up before Episode 3 debuts. My experience of The Walking Dead series has been exclusively on the Vita, so its very good news to hear that the next season is, in fact, making its way to the handheld. 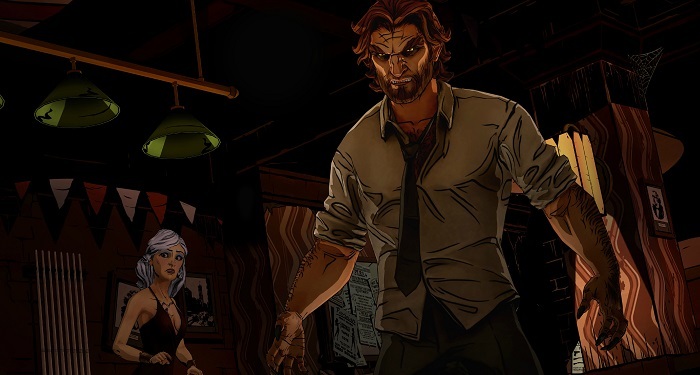 Telltale Games’ point-and-click style is a natural fit for the Vita’s touch screen, though I do hope that Season 2 will see some improvement in the lag department. This entry was posted in All, Featured and tagged Telltale Games, The Walking Dead: Season 2, Vita on April 17, 2014 by Mike Guarino. Telltale Games is offering fans a pretty sweet deal on their bandcamp website, as they are allowing you to download the song that appears in the credits of their most recent episode for free. The song is called “In The Pines“, which was arranged by Telltale composer Jared-Emerson Johnson and contains vocals from Telltale animator Janel Drewis. The song is also known as “Where Did You Sleep Last Night?“, which was famously covered by Nirvana on their MTV Unplugged In New York album. You can download “In The Pines” for free right here! This entry was posted in All, Featured and tagged Telltale Games on March 12, 2014 by Mike Guarino. This entry was posted in News and tagged Telltale Games, The Wolf Among Us on February 3, 2014 by Mike Guarino.